Ben Nevis Distillery was founded in 1825 at the foot of the famous Ben Nevis mountain near Fort William in the Highlands. The distillery first produced single malt for bottling under the Long John Dew of Ben Nevis label, later on all single malt went in the popular Long John blend. Ben Nevis has been closed a number of times in the 20th century. The last reopening was in 1990. In addition to the pot stills, the distillery also had a continuous still with which grain whisky was made for some time. Ben Nevis was in that period one of the few whisky producers who could release a 'single blend'.The Ben Nevis single malt has become an established whisky nowadays. 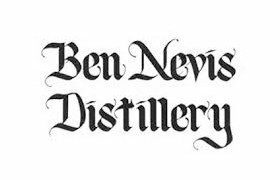 There are also many independent Ben Nevis bottlings.